Print or email your Gift Voucher. Looking for great gift ideas? 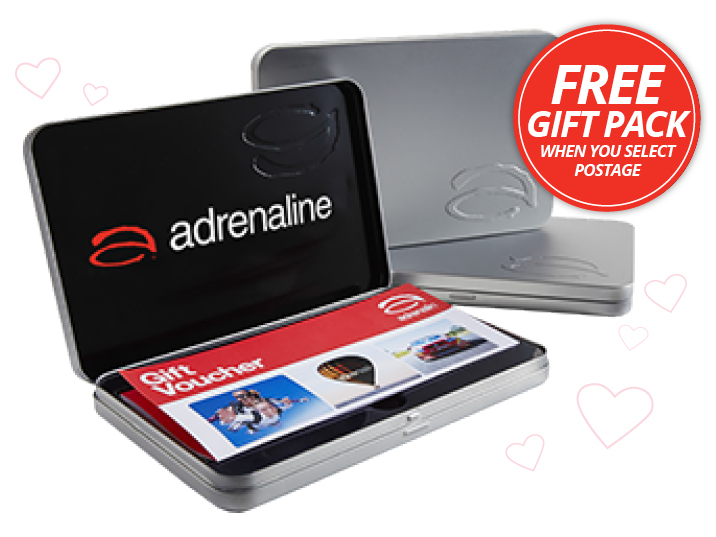 An Adrenaline gift voucher is the perfect choice. With all kinds of exciting activities and things to do across Australia, from skydiving and V8 driving to theme parks and attractions, the person receiving it will find it easy to find something they enjoy. Gift vouchers are an ideal choice for every budget, with popular options being $50, $100, $250, $300, $400 and $500. But you don’t have to select a pre-defined value, as there’s the option to buy a gift voucher at the value of your choice, starting from $20 and up. It’s an ideal birthday gift or Christmas present for adventure lovers of all ages. And if you’re searching for gifts for children, you’ll be pleased to know our Adrenaline Kids section brings together a huge selection of the best things to do for kids and some amazing family-friendly activities. 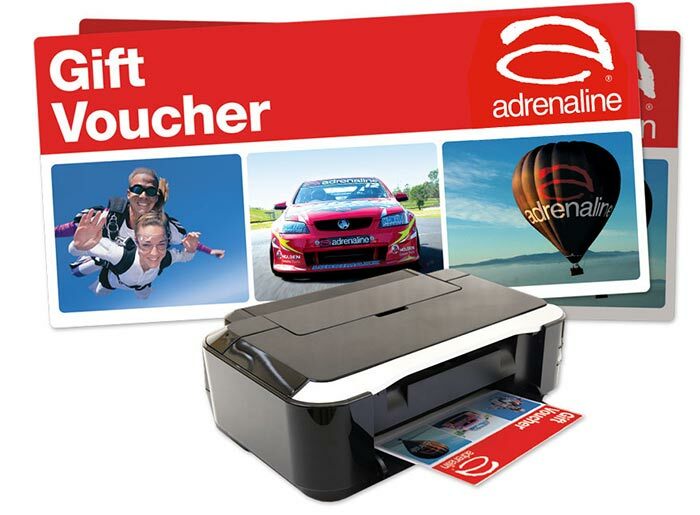 A major advantage of an Adrenaline gift voucher is it’s a fantastic last minute gift idea. It can be emailed instantly, giving you the option to send it directly to the recipient or print your voucher and hand it to them. 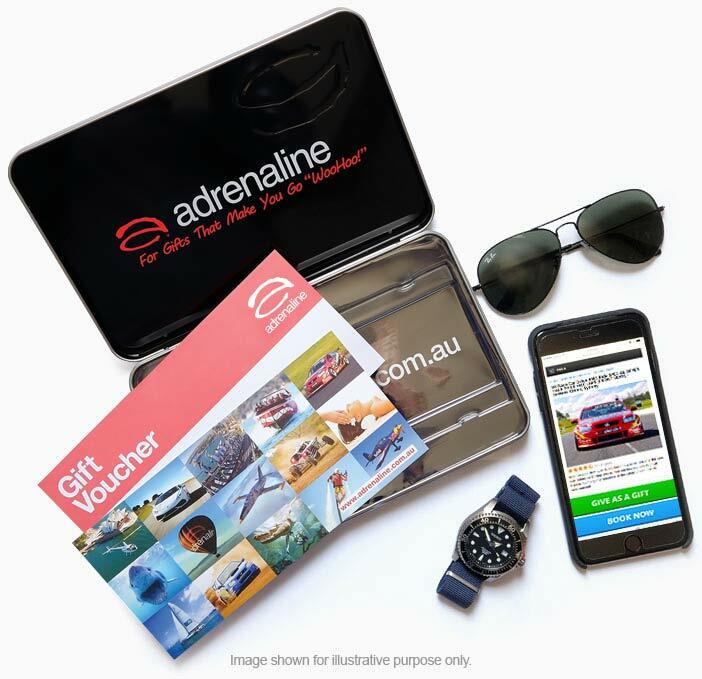 And for orders over $229 you can select a free Adrenaline Gift Pack with express shipping. 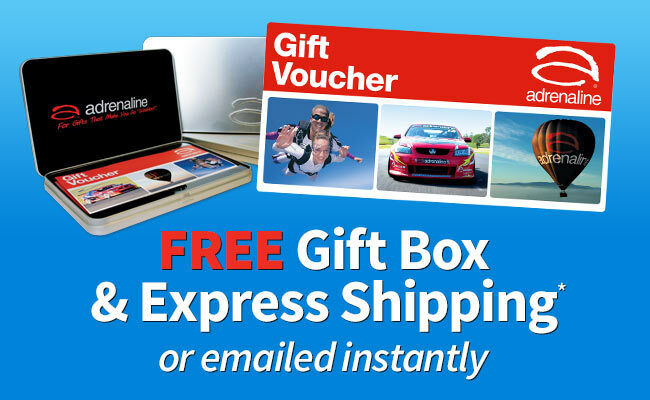 This allows your voucher to be sent via post in a brushed metal gift box. Once you hand over the gift, the recipient can redeem the voucher for use on any of the experiences site wide. They can even use the voucher to put towards an activity of a higher price and simply pay the remainder. It remains valid for 3 years, so even if they aren’t able to use it immediately, they’ll be able to enjoy it in future.